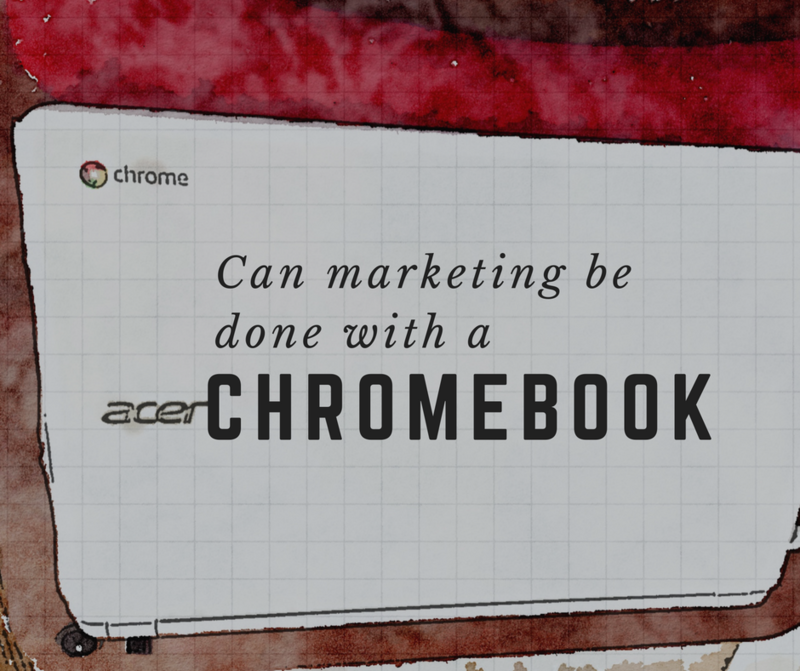 Marketing Elements by Timothy Goleman - Marketing on a Chromebook, can it be done? This may sound like a super crazy experiment. Why would anyone submit to such an experiment? Well, it’s not my first choice after being in the Apple Ecosystem. You can read all my details on the Tech Metldown from Monday. Now, in order to run my business I”m using a 15.6 Acer Chromebook and a 4th Generation iPad. The transition hasn’t been as bad as I originally thought. Blogging – Blogging is actually easier on the Chromebook. After all, blogging is done in the browser. Chromebook being a big browser make this a perfect marriage. The main advantage is the speed. It uploads faster and has a bigger screen. Even after I get a new Mac, I plan on keeping the Chrombook and using it for blogging. Image Creation – This was one feature I was really worried about. 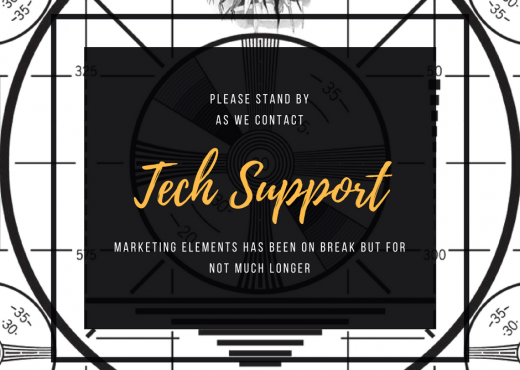 I use Canva for the majority of my image creation. There are smaller things I need done that PicMonkey or Canva’s image editor can do. I don’t do any heavy lifting by Photoshop. Batch Image resizing – This took a few to work out. The workflow has changed but it can easily happen. Bulk Resize Photos.com has a Resize Photo App for Chrome. The resizing takes place on the computer and not the cloud. However, one thing that caused me an issue is unzipping files. If it’s as large Chromebook can’t handle them. They get stuck in an endless loop of “Abort this action” and you can’t unmount the zip. I, of course, Googled and learned you can unzip in Google Drive and avoid this issue. Community Management – You can easily do community management on any social site. If you have a web based tool/solution, you can still use it on a Chromebook. I still manage all my accounts easily. I have become to rely more on Hootsuite for this rather than going through individual sites. File Management – I was unaware that you could use an external hard drive on a Chromebook. However, to read or write to the drive it has to be an exFAT formatted drive. This format allows both Windows and Mac to read and write to the drive. Creating Documents – I can create documents in Office Online, Google G Suite formerly Google Docs and iWork from Apple. The first two work on the Chromebook, the last has some issues. The issue for me is sometimes one service works best. When I’m busy, I forget where the document was created or resides on the web. It takes me more time to find. FTP Transfers – I have to upload and download files from servers. I downloaded Transmit for the iPad. Transmit works great in uploading. Especially if it’s a file or two. Where it doesn’t is downloading a lot of files. This week I needed to download 1400 files. I thought they were being downloaded to iCloud. I later learned they were stored local on the device. Getting the files out I had to do one by one. This took forever before I gave up. I learned that Chrome OS has an FTP app, that will be worth the $9.99 to easily download files. Apple & Google Ecosystems – Neither company works well together. Issues I have are more with personal stuff than documents. I can use both iCloud and Drive without many issues. I can upload my pictures directly to my iCloud Photos Library and to my Google Photos. It’s not impossible just takes a workflow process to make things work. More on this later. Email Management – If I had all Google accounts, this would be a non-issue. I have 4 IMAP accounts I need to manage. I can do it on my phone but no one wants to do email on your phone. I have found CloudMagic to allow me to check email and get notified when new messages come in. However, the service won’t let me copy and paste things. THis is helpful when blogging or getting something from a client. I have to forward it to Gmail and then copy. The last thing that is an issue is archiving emails. One thing to know about me is I save emails. You never know when you will need them. I archive my Apple Mail by Year. Each account has a folder by the year. Many will want it by company or sender. This works for me. I have yet to find a way to archive or download emails to an external hard drive. That will be accessible by Apple Mail later. This is the initial overview of using a Chromebook. I will have a lot more later! If you are using one I”d love to hear apps you are using.